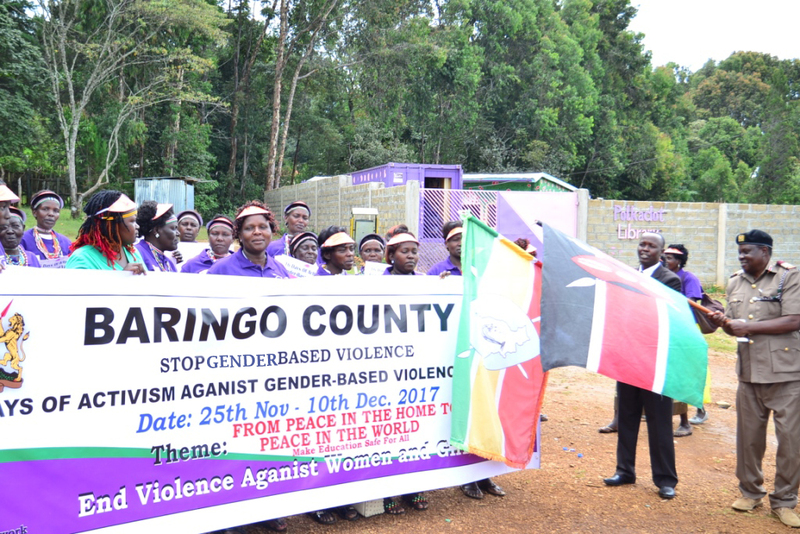 Baringo County Deputy Governor Jacob Chepkwony launched a two week long cam­paign of activism against GBV to create awareness on the vice. He appealed to the society to shun retrogressive cultural practices like Female Genetal Mutilation (FGM) and early marriages that encourage gen­der based violence by embrac­ing education and modern living. of women and girls experience various forms of violence against them, although majority of the cases are not reported due to lack of service providers and stigma, experience GBV with some of them inflicted with life threatening injuries and living with psycholog­ical trauma.